After Dubai, Bangkok is arguably the most favorite travel destination of Karachiites, but how many Karachi-walas go to Bangkok overland? Cemendtaur in his latest book, Cheen Mein Chalees Din, describes his overland journey from Karachi to Bangkok, via China and Laos. Passing through undeveloped western China he travels all the way to the border of Mongolia, and then going through the heartland of China enters Laos, where he travels on Mekong to reach the capital and then cross over to Thailand. The trip was done not long after communist China opened its doors to independent travelers. Cheen Mein Chalees Din is as much a social and political commentary on the places Cemendtaur visits, as it is a travelogue. 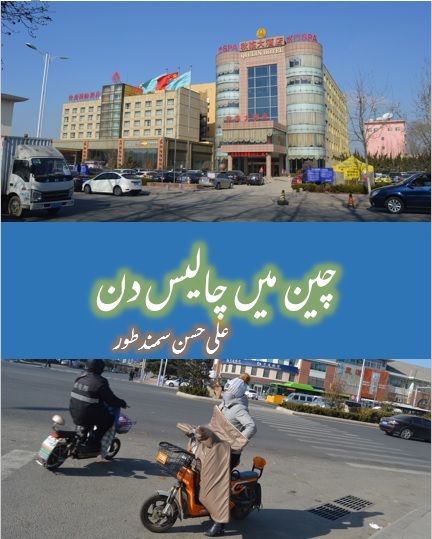 The latest Urdu travel journal is Cemendtaur’s tenth book.